To The Batpoles! 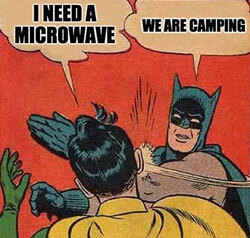 Batman 1966: #012 Batman Goes Camping! You've heard it said millions of times that Adam West Batman is "campy". But... what exactly does that mean? This episode, Tim and Paul explore camp. What is it? Where did the term come from? What's the difference between "camp" and "camping"? What does Batman have in common with drag queens? Also: Was Batman '66 a "sitcom"? Susan Sontag's "Notes On Camp"